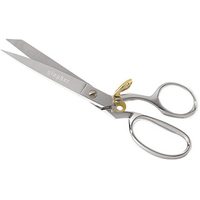 Gingher 8" Knife Edge Dressmaker Shears have blades strong enough to cut multiple layers of fabric effortlessly. 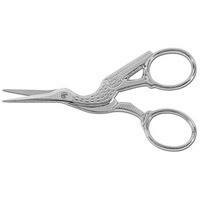 The longer cut length is ideal for cutting out patterns and trimming seams. 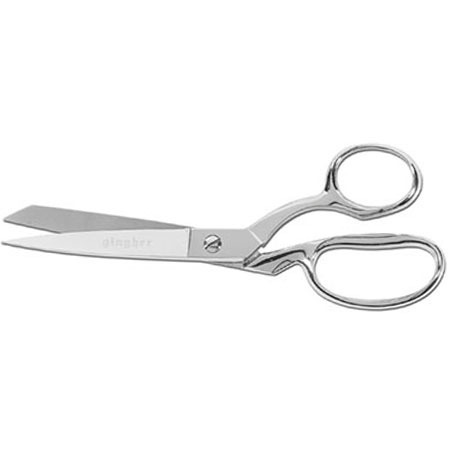 Gingher 8" Knife Edge Dressmaker Shears feature sharp precision knife edges which cut all the way to the points flawlessly. 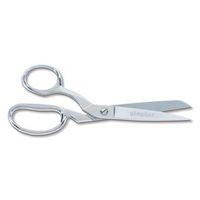 The bent handles on the Gingher 8" Knife Edge Dressmaker Shears allow for comfortable cutting on any flat surface. 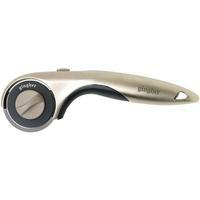 Crafted from durable double-plated chrome over nickel finish.